New Zealand's largest city, Auckland (Akarana) boasts of breathtaking scenery and beautiful beaches, and has the largest Polynesian population of any city in the world. Situated on a narrow isthmus, it is one of the few cities in the world to have harbours on two separate bodies of water, the Tasman Sea and the Pacific Ocean. Enjoy great shopping in the city's heart, or visit the markets that are a magnet for bargain hunters. Places to visit include the Museum, Zoo, and the Botanic Gardens. Daily departures from Viaduct Harbour of the Whale and Dolphin Safari offer a guaranteed viewing of dolphins or whales as well as other captivating animals on every trip. There's plenty to see and do so why not arrive a day or so early to soak up the sights and sounds of this magnificant city. Depart from Auckland, New Zealand at 11.59pm. Cruise around the Coromandel Peninsula and Bay of Plenty, New Zealand. Arrive in Tauranga (Rotorua), New Zealand at 8am. Site of fierce Maori wars, Tauranga today is a peaceful city in the heart of kiwifruit-growing country. Farther afield: Rotorua, with its spouting geysers and bubbling mud pools, the Waitomo Glow Worm Caves and nocturnal kiwi houses. 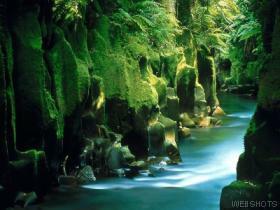 Sample shore excursions: Fascinating Rotorua; Longridge Park & Jetboat Ride; Maori Marae Visit. Placed on the shores of a lake of the same name, it resides in the crater of a volcano. An area of extraordinary natural beauty, Rotura boasts sixteen lakes and a myriad of walking trails for you to enjoy. Maori culture can also be discovered by visiting places such as Mitai Maori Village, home of the sacred spring and glow worms, or the Living Thermal Village, where locals produce craft products. The ship departs at 8pm. Arrive at Napier, New Zealand at 2pm. A city of vision, rebuilt in the striking, clean style of art deco after a devastating earthquake in 1931 and reinvented as a center for gourmet food and wines. Sample shore excursions: Napier Art Deco Highlights; Cape Kidnappers Gannet Safari; Hawke's Bay Wineries; A Taste of New Zealand:: Epicurean Experience at Sileni Estates. Arrive in Wellington, New Zealand at 10am. New Zealand's capital city, Wellington is set on the edge of a stunning harbour surrounded by rolling hills. Nearby Lambton Quay is popular with shoppers, and don't miss a trip on the cable car, where you be taken from Lambton Quay to Kelburn, the Botanic Gardens and superb harbour views. Alternatively, take a harbour cruise or ferry trip to Eastbourne and visit craft shops, galleries and cafes. A 15-30 minute drive by hire car is all it takes to reach Lower Hutt with its fantastic recreation opportunities and art museum, Porirua where you'll find the award-winning Pataka Museum, or Upper Hutt and its pristine Hutt River with stunning riverside trails. 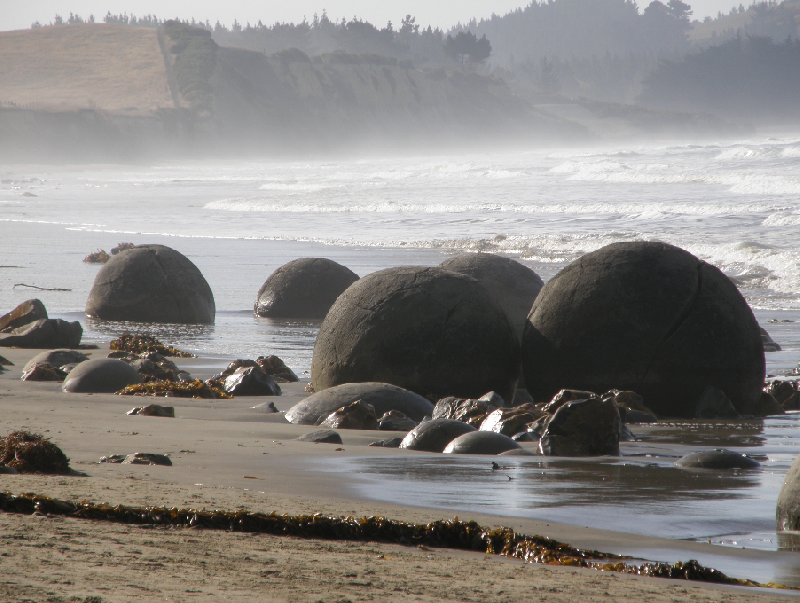 Sample shore excursions: The Best of Wellington's Pubs; Boomrock Escape; Lord of the Rings - on Location. The ship departs at 11.59pm. After cruising around Captain Cook Ship cove and Queen Charlotte Sound, we disembark in Picton, New Zealand at 8am. Picton is a small seaport offering beautiful beaches, bush walks, wineries, zoos and wildlike parks such as Ecoworld. Many tours are available, including dolphin watching, and there is also the Edwin Fox Maritime Museum to visit. If a more relaxing time is sought, enjoy the restaurants of the township, do some tourist shopping, or relax at the beautiful park on the waterfront. Sample shore excursions: A Taste of Picton; The Wines of Marlborough; Queen Charlotte Sound Kayaking. The ship departs at 6pm. Akaroa is a historic French and British settlement nestled in the heart of an ancient volcano. Explore the village and enjoy colonial architecture, art galleries, shopping and cafés. The ship departs at 7pm. Having been founded in 1848 by Scottish migrants, the city today still contains many Scottish relics, including a statue of the Scottish Bard Robbie Burns. Dunedin is nicknamed the Quirky Capital, named after its quirky annual events, not to mention being surrounded by a giant outdoor playground, and being the home of Baldwin Street, officially named the world's steepest street in the Guinness Book of World Records! The town is packed with historic architecture, cafes, bars, art galleries, and New Zealand designer fashion. Approximately thirty minutes away is the Otage Peninsula, where you will see yellow eyed penguins, the only mainland albatross breeding colony, New Zealand fur seals, sea lions and much more. Garden lovers will enjoy a visit to Lanarch Castle, with its gardens of international significance (and very Scottish), Rhododendron Dell and the Botanic Gardens. Cruising Fjordland National Park, New Zealand. 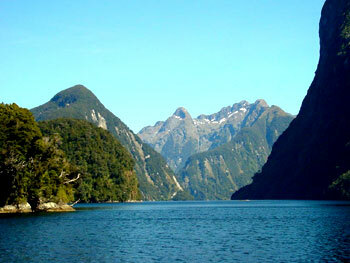 The dramatic beauty of Fjordland National Park will be able to be seen from the ship as we drift past. Being the largest of 14 national parks it hosts numerous waterfalls, misty virgin forests, snow-clad mountains and towering granite peaks, crystal clear lakes, rivers and remote fjords. Watch for seals and crested penguins gathering on the shores, and bottle-nosed dolphins playfully swimming alongside the boat. It's time to head to Australia. Enjoy the fantastic facilities provided on the ship, as well as attend all the History & Genealogy conference talks, workshops and special interest groups. For more information, see the Conference Program. Arrive in Burnie, Australia at 6am. Burnie is a regional city best known for its busy container port and major industries, though there are some unexpected places for visitors to explore. The central business district provides a thoroughfare to the beach-side board-walk, while the Burnie Park with its historic tearoom (the 'Burnie Inn'), a wildlife sanctuary and a walking track to Oldaker Falls, is close to the city centre. Head to Lactose Cheese Tasting Centre and enjoy the region's famous cheeses, specialty products, and Tasmanian wines. The 'Rhododendron Gardens' will delight, with its 9,000 varieties and unique natural amphitheatre. If time permits, enjoy Australia's biggest eucalypt tree farm, the surrounding rich farmland and return via Guide Falls. Sample shore excursions: Gunns Plains Cave & Wildlife; Panoramic Coastal Journey. The ship departs at 5pm. Arrive in Melbourne, Australia at 8am. 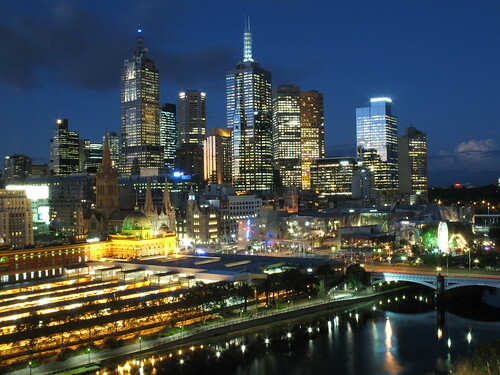 The capital of Victoria, Melbourne is the second most populous city in Australia. It is located on Port Phillip Bay with the Yarra River running through the city centre. Melbourne holds an abundance of museums, galleries and theatres, and you can explore the city via its free Tourist Shuttle Bus or City Circle Tram. Renowned for its shopping, follow tiny lane ways and discover high-end boutiques selling designed originals or explore the factory outlet bargains. You'll be spoilt for choice! Melbourne's melting pot of cultures is reflected in its micro cosmos of restaurants, cafes, bistros and bars, supporting its street-cafe culture. The Central Activities District, South Bank, Chinatown and Docklands are well worth visiting. Sample shore excursions: Melbourne Highlights; Blue Dandenongs, Birds & Olinda Village; Melbourne Past & Present. As we make our way to the final stop, once more enjoy the many history & genealogy talks, workshops and opportunities offered by Unlock the Past. For more information, see the Conference Program. Arrive in Sydney, Australia at 6am. It's time to go home, but why not first take the opportunity to explore Sydney? The capital of New South Wales and residing on the magnificent Sydney Harbour, Sydney is the nation's oldest city and first began as a convict settlement. There are numerous exciting ways to soak up Sydney’s famous harbour: take a tour in a wide range of vessels including yachts, tall ships, catamarans, or even kayaks. If adventurous try a jet boat ride, or perhaps decide that there's no better way to see the sights of Sydney Harbour than on a Sydney Explorer Hop-on Hop-off Harbour Cruise. Right on the Harbour you will have access to Taronga Zoo, the Sydney Aquarium, and even tour historic Fort Denison. Just five minutes from Circular Quay discover Sydney’s colourful convict past at the historic Rocks, where it all began. Other options include climbing the span of the Harbour Bridge, touring the Opera House, taking a Skywalk at Sydney Tower, or simply enjoy the local cuisine and shopping opportunities.